For questions or concerns please send e-mail to estevessan121@gmail.com. Arte Publico Press; ISBN 1-55885-017-1; ©1990; 87 pgs. 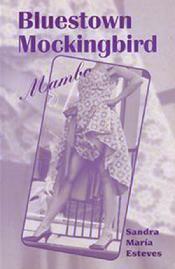 "Bluestown Mockingbird Mambo is Maria Esteves' third collection of poerty. 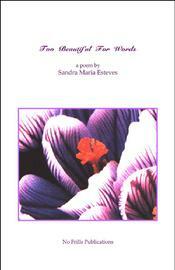 Her first book of poems, Yerba Buena (1980), was revolutionary in establishing an urban Latina woman's voice and aesthetic. This collection takes all of the rhythmic, bluesy potential and the women’s poetic militancy of Yerba Buena and brings them to full, resplendent, funky bloom. 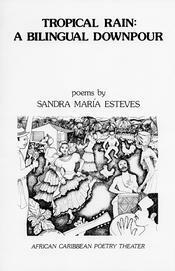 In this volume, Esteves blends oral and literary traditions to create a fusion of spirituality, blues and women's poetics." 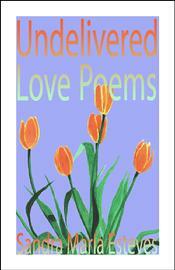 Limited Editions Press (self-published chapbook); ©2007; 30 pgs. No Frills Publications (self-published, spiral-bound); ©1998, 95 pgs. No Frills Publications (self-published chapbook); ©1997; 50 pgs. African Caribbean Poetry Theater (self-published chapbook); © 1984. 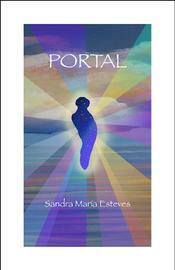 "Sandra María Esteves, born and raised in Bronx, New York, is a literary, graphic and performing artist, writing professionally since 1972. Published in numerous anthologies and magazines, including Sunbury, Ordinary Women, Revista Chicano-Riqueña, Third Woman, Womanrise, Essence and Heresies, she was awarded a CAPS Fellowship for Poetry in 1980, and published her first book of bilingual poems and illustrations, Yerba Buena, with the Greenfield Review. She has worked closely as a resident artist with numerous organizations, including The Family Repertory Company, the Cultural Council Foundation, El Museo Del Barrio and Taller Boricua. Esteves [was] Poet-in-Residence with El Grupo Morivivi, and coordinator of their Voices From the Belly Poetry Series since Spring 1980. She [was] the Executive Artistic Director of the African Caribbean Poetry Theater, a non-profit cultural organization based in the Bronx. An active coordinator and prominent force of literary cycles in New York City, Esteves was a founding member of "El Grupo: Canciónes y Poesía" (Disco Canto Libre, 1974), and has appeared in various radio and television series, [including] PBS-TV's "Mainstream" and WNYC-TV's "Amanecer" and "Island Images." 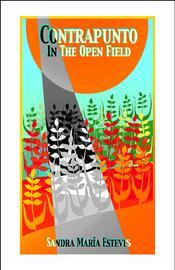 Greenfield Review; ISBN 0912678-47-X; 1980; 91 pgs. Selected Best Small Press by the Library Journal. Click here for the Introduction by Louis Reyes Rivera. 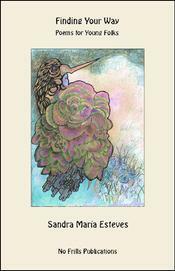 Click here to view and browse through Yerba Buena, Poems and Drawings. "Yerba Buena is a root named by a lover of herbs and spices which cured diseases before medicine was industrialized. Yerba Buena is an indian chant upon the Amerinquen new earth dancing the urban landscapes, the mountains, the waters, the elements of people struggling to recreate themselves in equal balances. Yerba Buena is Good Herb, that speaks a world language from the hard-core bricks of a New York based Puerto Rican, Black, Latina, Caribbean, African Third World Woman conscious of the daily struggle to survive inside the concrete form. 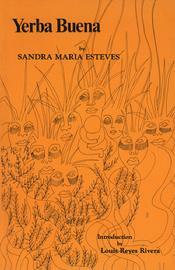 Yerba Buena is Sandra Esteves whose first name is María, meaning new womanhood carrying her words from Visiones en Ojos Rosas to Marcando Quinto inside Horizontes Migrantes changing incantations for growing a total artist perception of the fullest cycle combining Esteves drawings into Sandra’s poems emerging into a María that lives inside us all." No Frills Publications (self-published chapbook); © 1999.